For the first time, AAPA and supporting partners will host delegates throughout South Korea, Japan and China – including attending the 5th International GeoChina Conference 2018. This exciting program is outlined below. This is an opportunity to discover tools that deliver value for money, efficiency gains and innovative solutions that can be implemented within Australia. Korean business models for roads management and delivery. The scope of the global market, including options available to Australia. This Kawasaki plant is representative of the latest facilities in Japan. It is used to manufacture high RAP mixes, cement asphalt mixes and stabilised road base materials. Discussion at the asphalt plant will include discussion on state of the art environmental controls at asphalt plants. Nippo is the largest pavement construction contractor in Japan. NIPPO has developed many technical innovations which have been implemented in Japan and overseas. We will visit the research laboratory, which boasts the latest equipment. Maintenance & Resilience Tokyo is held annually. 565 companies exhibited last year, with approximately 38,000 registered visitors. The I-construction EXPO is one of 7 expositions at the event. The i-construction highlights the role of automation in addressing skill shortages in the industry. Safer worksites shifting from a 3K industry Kitanai (dirty), Kiken (dangerous) and Kitsui (hard) to a new 3K industry Kyuyo (salary), Kyuka (holiday / day off) and Kibou (aspiration / hope). The 5th GeoChina International Conference 2018, showcasing advancements in transport infrastructure design, construction, and safety management. The conference will attract an international au­­­dience and includes many papers on flexible pavement design for roads and airports. 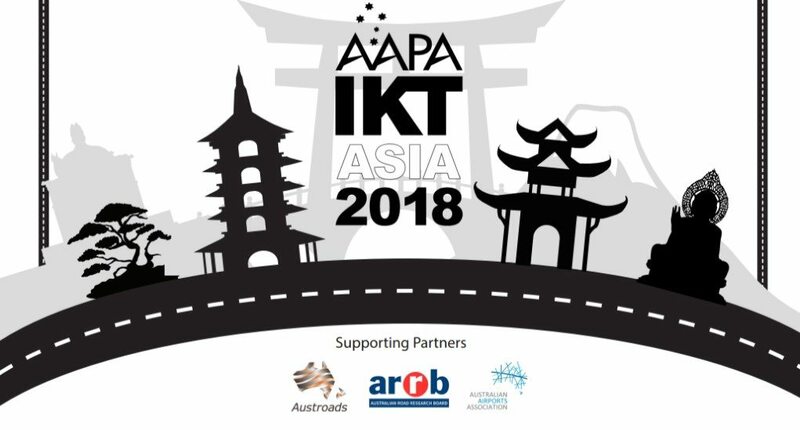 The conference will also include a China-Australia summit, which will be an opportunity to share the latest developments in flexible pavement technology. A visit to the Zhejiang Communications Construction group, a contractor with wide experience in Design/Build and Finance/Operate/Maintain contracts on the Chinese highway network (which is a toll network). ZCCC manages 3000 klms of highways in Zhejiang province alone. A site visit to a bridge with self-compacting epoxy asphalt. Engineering controls to comply with environmental regulations. SMA use for airport surfacing and associated specifications. Note: Details outlined in the itinerary above may be subject to change. Should this occur, the itinerary will be immediately updated. For further information, please contact Erik Denneman: erik.denneman@aapa.asn.au or 03 8416 4501.